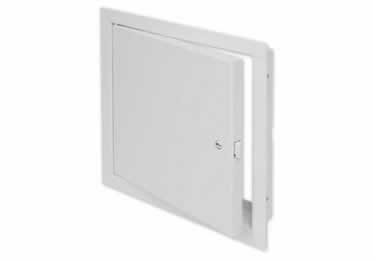 Ideal for providing access in fire rated walls. UL "B" label 1-1/2 hours. 15 sizes in a white alkyd baked on enamel finish. On sale now, 10% off regular price. Starting at $128.21. For walls & ceilings when temperature rise or heat is a concern. Available in 15 sizes in a white baked enamel finish. On sale now, 10% off regular price. Starting at $177.51. 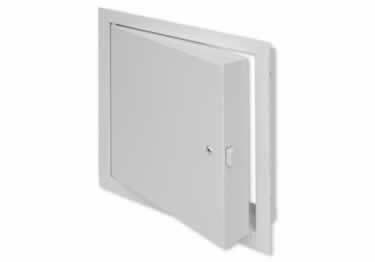 Fain access in fire rated walls. UL "B" label 1-1/2 hours. 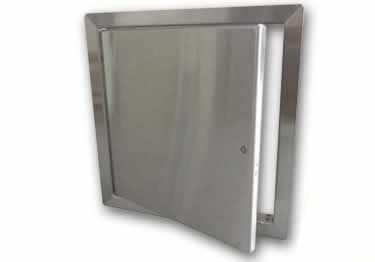 Available in 6 sizes in a stainless steel, satin polish finish. On sale now, 10% off regular price. Starting at $356.27. 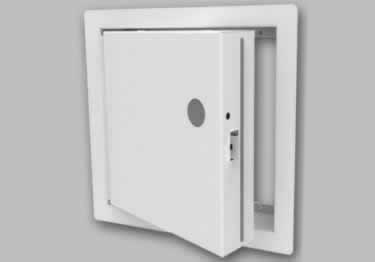 These fire rated doors provide access in fire-rated vertical surfaces. 11 size options. 3 latch options. UL Listed On sale now, 10% off regular price. Starting at $108.69. 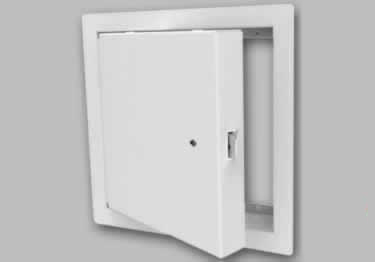 These doors provide access through vertical or horizontal surfaces, Choose from 3 optional latches. UL Listed On sale now, 10% off regular price. Starting at $122.93. Ideal for walls and ceilings, designed for use when temperature rise or heat transmission is a factor. Available in 6 sizes. On sale now, 10% off regular price. Starting at $343.82.